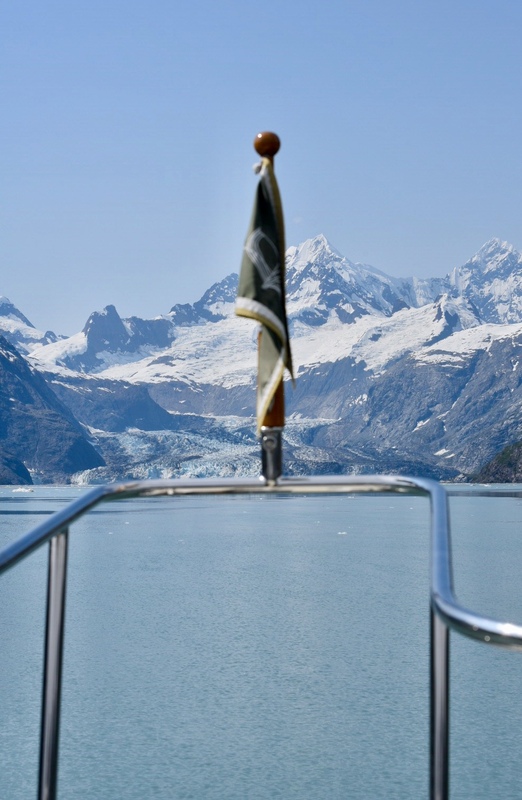 It is another amazing day in Glacier Bay. We continue working our way up bay while enjoying the warm sunny weather which is very unusual for this area. 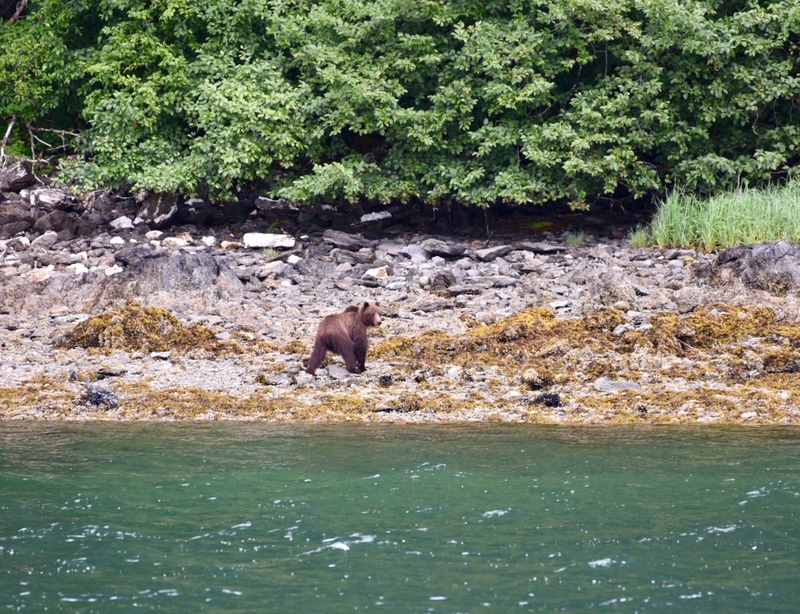 We peak our nose in Tidal Inlet and spot a brown bear on shore. Reaching the high granite peaks of Gloomy Knob, we ease in close to shore in search of the mountain goats. The calm milky water is 200 ft. deep almost to the shore. Several of the goats are out munching on green grass. The Norsdam and Island Princess Cruise ships are just ahead of us. They too slow for their passengers to observe the goats. 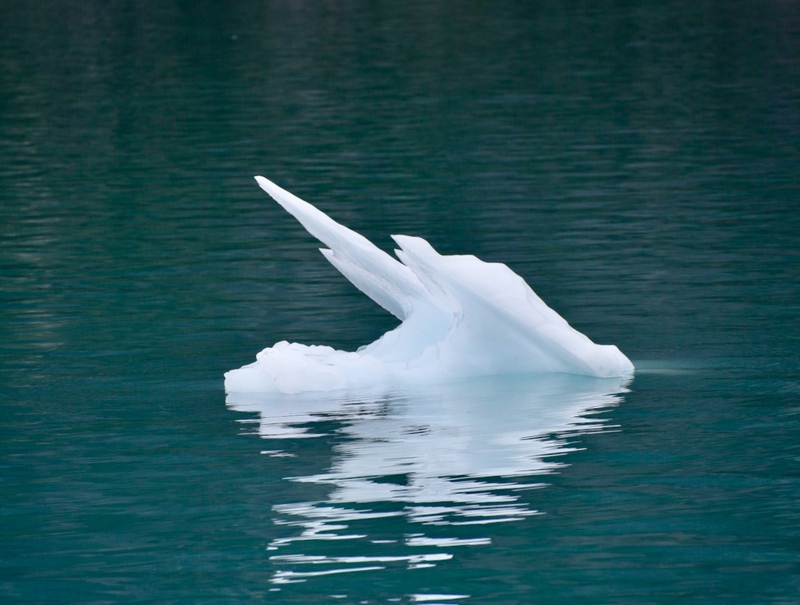 This afternoon we spot our first ice berg on the way to our anchorage in Reid Inlet. Although this bergie bit was not very big , we are now on notice of what is to come. 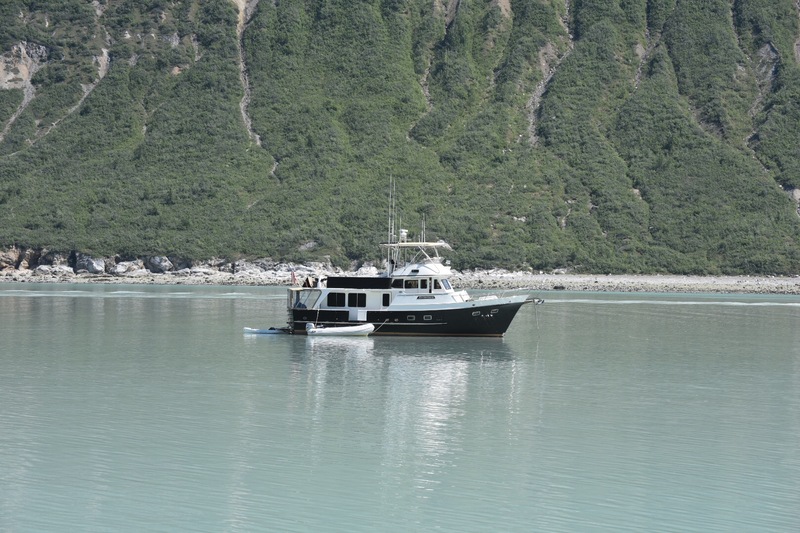 We are happy to see Robin and Jim on Adventures already anchored in the Inlet. After anchoring behind a small spit along the northwest shore, the dinghy is deployed for some exploring. 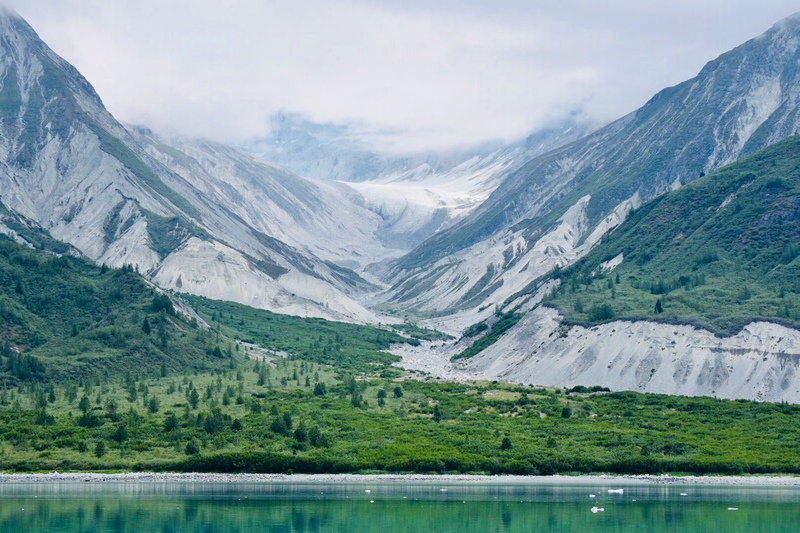 At the head of our anchorage, two miles away, is the Reid Glacier. 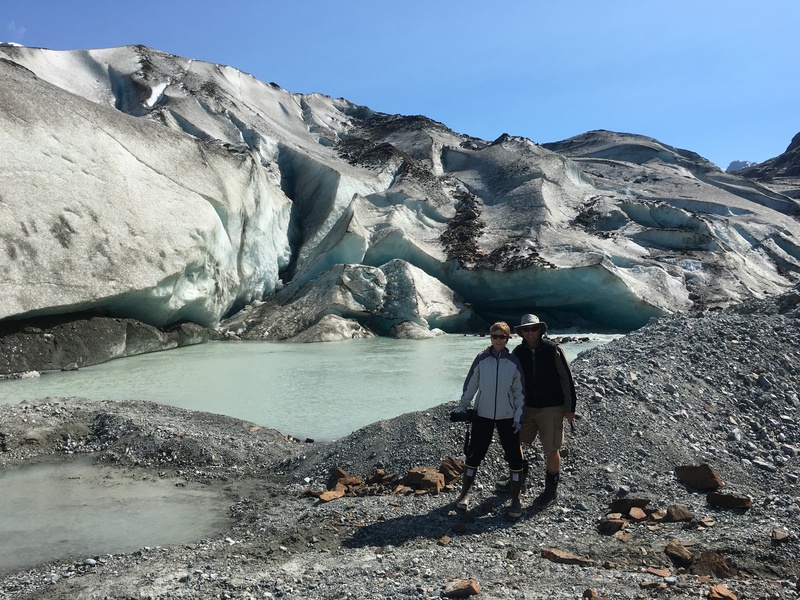 Cruise ship passengers don’t get the opportunity to explore this glacier as the bay is too small for the big ships. 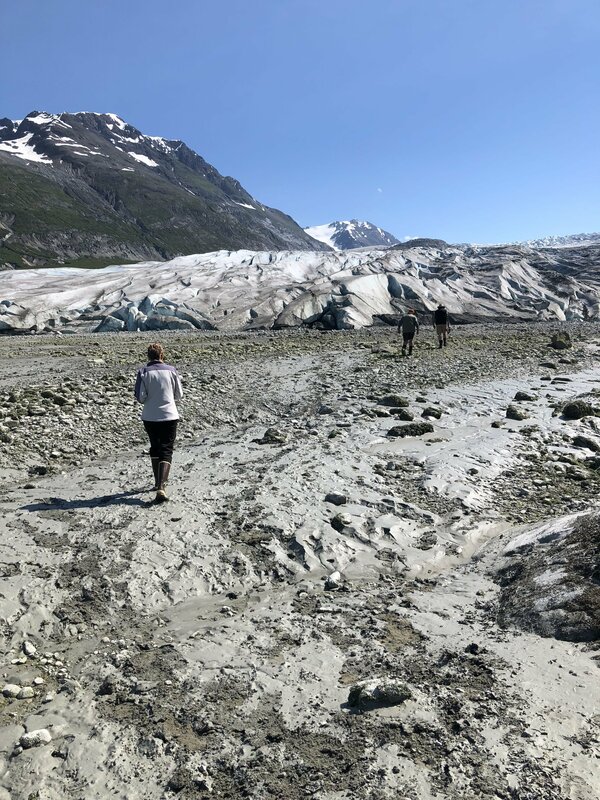 Keeping our eyes peeled for bears, we spend some time hiking along the rocky shore to the foot of the glacier. We are equipped with shotgun, bear spray, and bear bells. 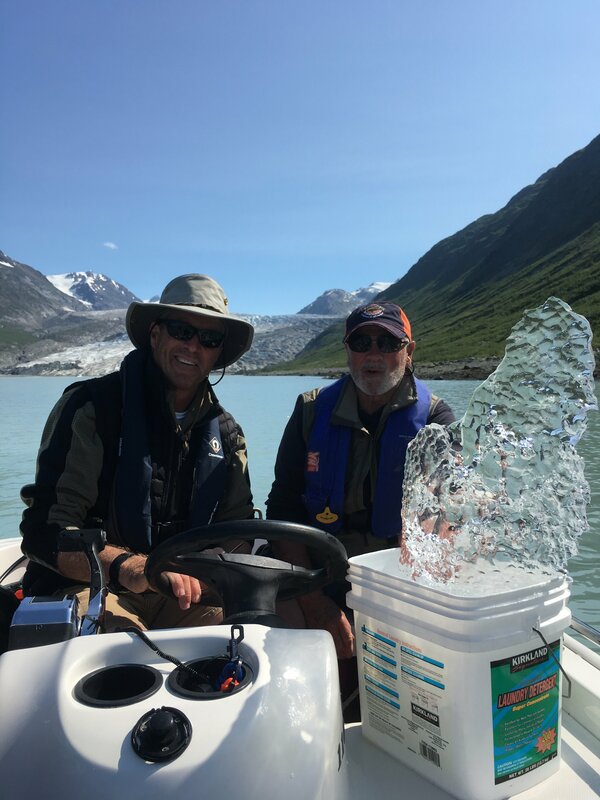 Before heading back to Idyll Time, we stop to collect some glacier ice floating in the anchorage. Tonight we will enjoy glacier ice cocktails. Because of its density, the ice will last for several days. Tomorrow will be our glacier day. Hopefully the weather will hold. 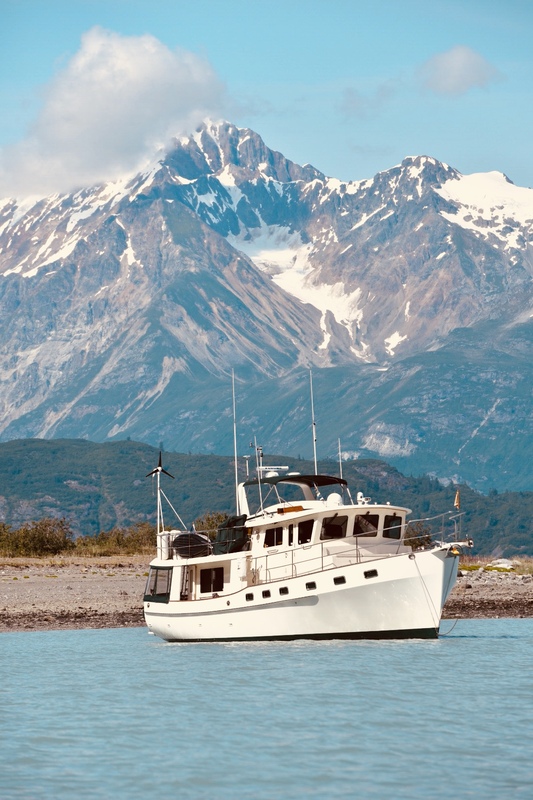 In this remote anchorage, we have no cell, vhf, or weather info. This entry was posted on August 19, 2018 at 10:03 pm. You can follow any responses to this entry through the RSS 2.0 feed. You can leave a response, or trackback from your own site. 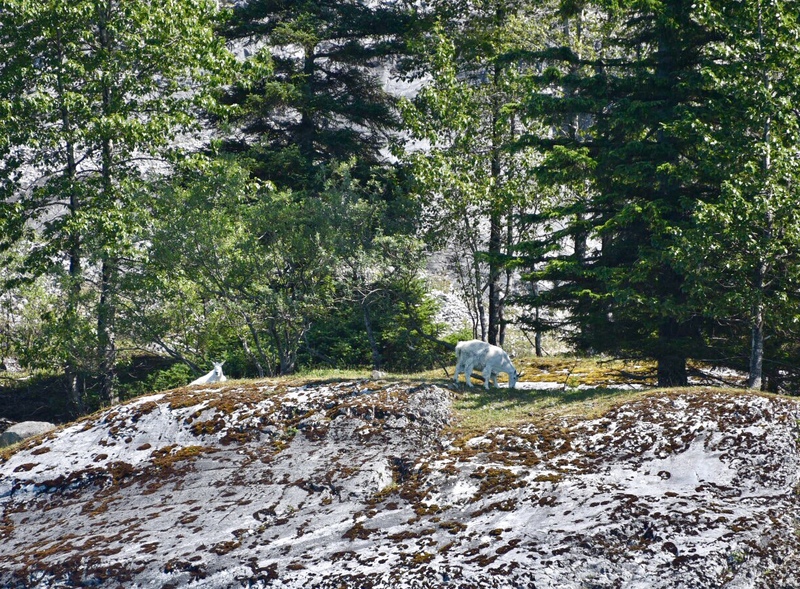 1 Response to "Reid Glacier"
Again, the narrative and photos are fabulous. What a beautiful adventure you’re having! It really inspires me to do this too, but most likely on a cruise ship. Can’t wait for your next installment.